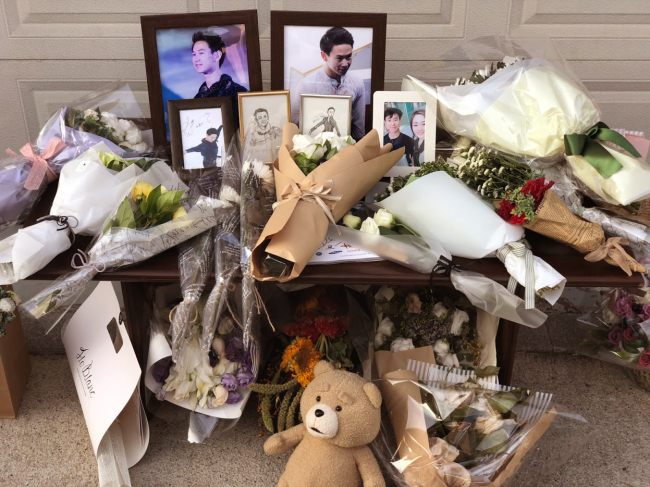 Kazakhstani and international residents in Korea mourned the death of the late Denis Yuryevich Ten, a Kazakhstani figure skater of Korean descent, at a memorial ceremony at the Embassy of Kazakhstan in Seoul on Saturday. 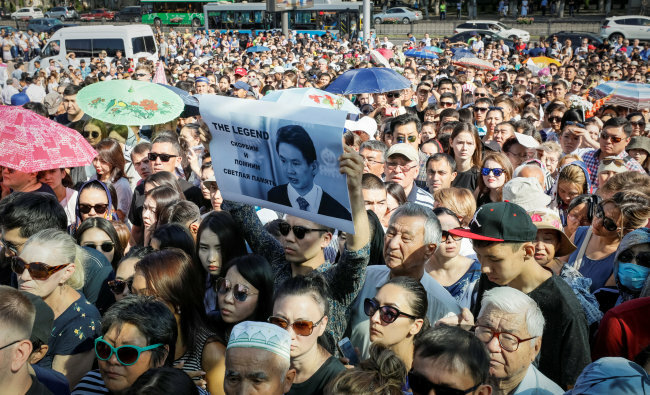 Some 60 people uttered their final, belated words of love and condolences for Ten, who died Thursday from stab wounds by two Kazakh men who had tried to steal his car’s side-view mirrors in Almaty, Kazakhstan. Photographs, flowers and a teddy bear adorned the facade of the embassy’s parking garage, with the participants expressing their sorrow and anger over what they said was neither believable nor deserving of Ten’s illustrious, self-sacrificing career. Ten was the 2014 Sochi Winter Olympic bronze medalist, a two-time world medalist (silver in 2013 and bronze in 2015), the 2015 Four Continents champion, the 2017 Winter Universiade champion and the five-time national champion of Kazakhstan. The late 25-year-old was the great-great-grandson of Korean independence fighter Min Keung-ho, and enjoyed huge popularity in both his native and ancestral homelands. 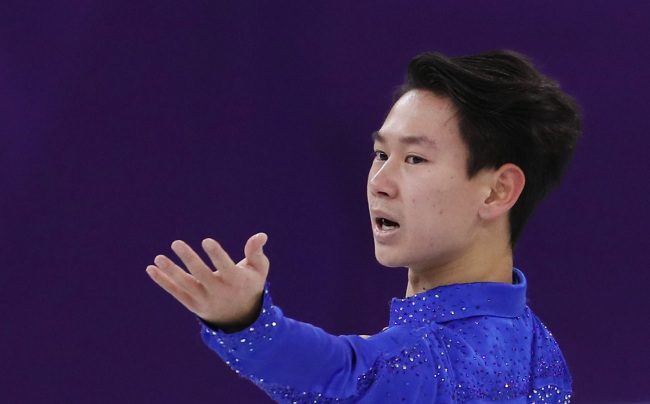 He participated in the 2018 PyeongChang Winter Games, finishing 27th place in the short program, as he was reeling from an ankle injury. His last name, Ten, comes from the Cyrillic spelling of the Korean surname Jung. “Denis was a special person for us. 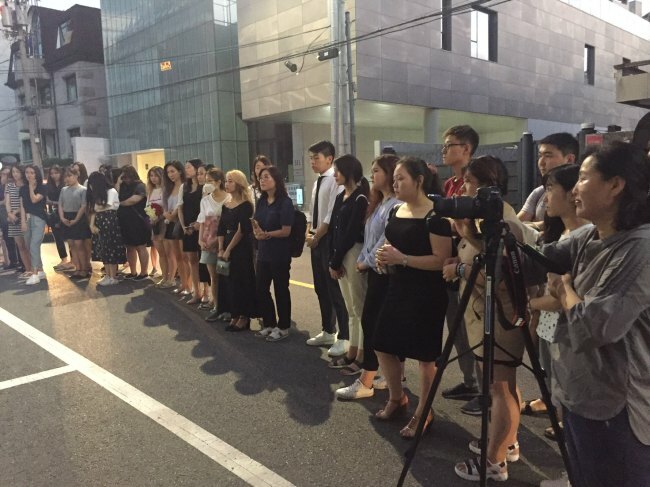 He showed us how one can reach his or her dream step by step,” Baur Dautov, a Kazakhstani student who helped organize the memorial service with the embassy, told The Korea Herald. The ceremony was broadcast on Kazakhstani and Korean national television. A book of eulogies and condolences will be sent to Ten’s parents, Dautov said. “I hope we can find some meaning out of this senseless death. We really thought that we should develop our society, so that no such needless death will occur in the future,” he said. Dautov attributed the killing to what he called “a larger social problem in Kazakhstan,” where car mirrors, many of them stolen, are sold cheaply at markets. “People often buy them knowing they were stolen. People’s way of thinking must change,” he stressed. Ten was stabbed and killed in broad daylight by two men after he caught them red-handed, according to reports. He lost 3 liters of blood and struggled for his life before reaching the hospital, where he eventually died. Kazakhstani police have identified two suspects for the murder, Nuraly Kiyasov and Arman Kudaibergenov, with Kiyasov confessing to the killing and Kudaibergenov arrested after his partner in crime. Ten’s death prompted national mourning in Kazakhstan. 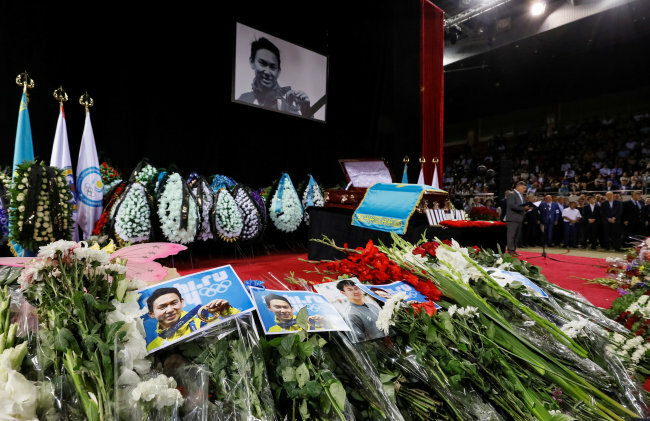 Thousands gathered Saturday at a sports hall in Almaty, where Ten lived, to remember their hero. “He was an outstanding personality, the real patriot of Kazakhstan,” the nation’s President Nursultan Nazarbayev said in a message read out at the event. Several world-leading Kazakhstani athletes flew in from abroad, including world middleweight boxing champion Gennady Golovkin -- also of mixed Korean ethnicity -- who currently trains in the United States. “The Korean diaspora in Kazakhstan is devastated. 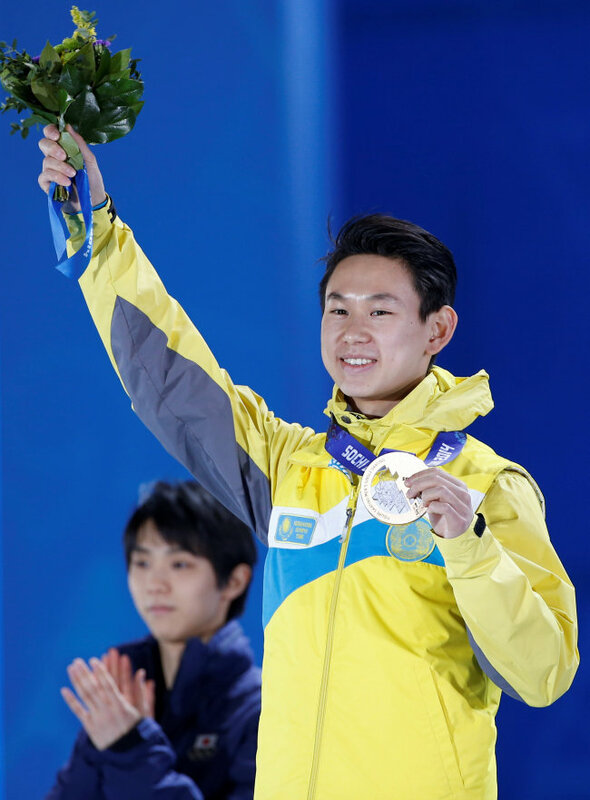 More so, the whole nation has been devastated by the tragic death of our figure skating star Denis Ten,” Dmitry Lee, a Korean-Kazakhstani journalist and entrepreneur based in Astana, told The Korea Herald in an interview. Despite being offered citizenship by both Russia and South Korea many times, Lee noted, Ten chose to represent Kazakhstan as an athlete, as he also served as an official ambassador for Almaty’s bid to host the 2022 Winter Olympics, which went to Beijing. “We want to believe that Ten’s death will not be for nothing. It will be about something grand and significant, a priceless sacrifice for a safer future of our country,” Lee said. According to the Associated Press, Ten had been working on a film script in recent months which Kazakh-Russian director Timur Bekmambetov said will be made into a movie. South Korean figure skaters mourned Ten’s passing, expressing their deep sorrow and condolences on social media.